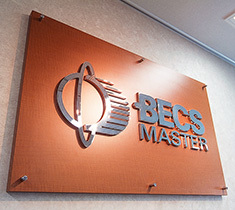 Support system｜BECS MASTER Chiyoda Kogyo Co., Ltd.
Our abundant experiences always bring you prompt services! All the domestic bases have several field service technicians. Chiyoda have built the outstanding network connection that enables a quick response to customers. Oversea service is also fully covered by dedicated staff members. Chiyoda Kogyo have set up the international department which is dedicated to following up on customers who have oversea factories as well as our products shipped abroad. We will support customers from orders to after-sales supports. We will propose the best solution from the customer's point of view! We are fully committed to addressing every customer's needs. We ensure to manufacture under thoroughgoing quality control. Customers will be provided with relief and reliance by our strict inspection standard. At our Hamamatsu factory, we will perform trial operations at customer's presence. We will deliver approved product only. We will propose the best solution from customers' point of view! We are fully committed to meeting the customer's request for specifications. We will propose the best operational environment! Regular visit for machine diagnosis. Always ready for prompt services in case of emergency!